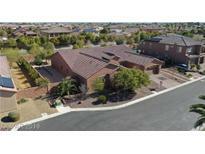 Below you can view all the homes for sale in the White Horse subdivision located in Las Vegas Nevada. 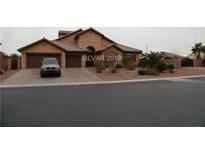 Listings in White Horse are updated daily from data we receive from the Las Vegas multiple listing service. To learn more about any of these homes or to receive custom notifications when a new property is listed for sale in White Horse, give us a call at 702-323-5963. Casita has own washer/dryer, fridge, microwave, separate alarm and entrance. MLS#2088572. TR Realty. System, Beautiful Upgraded Lighting Throughout, Porcelain And Marble Tile, Large Backyard With Desert Landscaping-big Enough For A Pool! Details Need To Be Seen! MLS#2086061. Keller Williams Market Place I. Recently Added Features Include $18k Wood Shutters & New Stainless Appliances! Also Has Rv Parking Potential. MLS#2073262. Huntington & Ellis, A Real Est. This home is truly the ONE! MLS#2060131. Signature Real Estate Group.